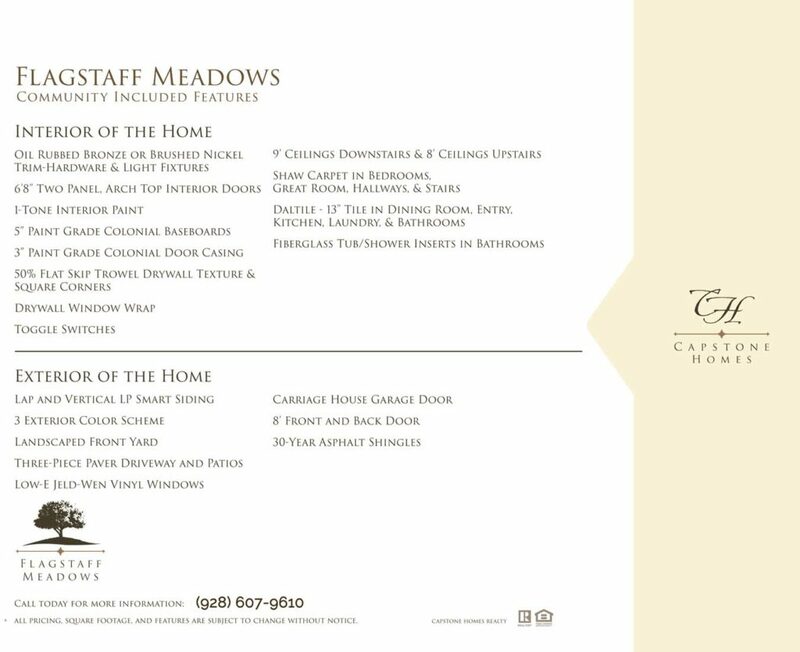 Flagstaff Meadows is a new homes community directly west of Flagstaff AZ on the I40. 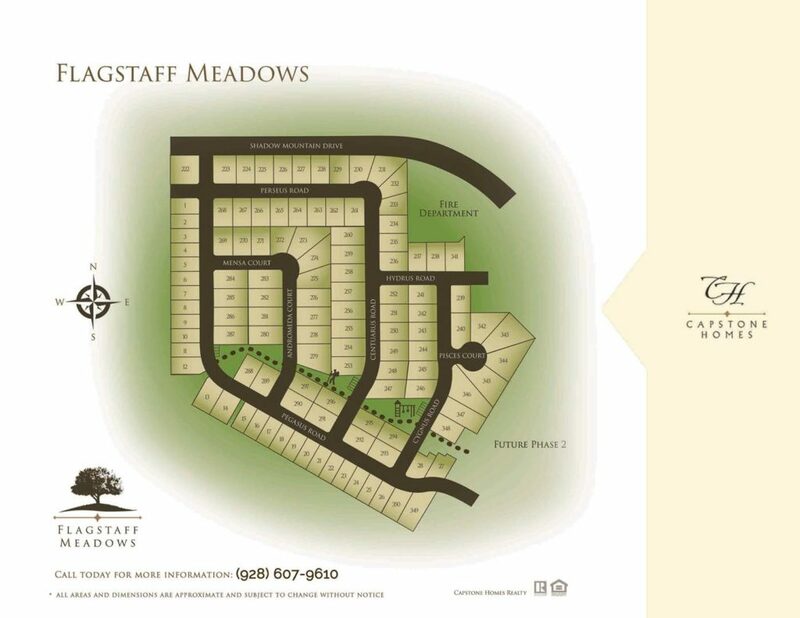 Built by Capstone Homes, Flagstaff meadows offers 9 floorplans of all sizes with prices starting in the low 300s. See all listings below and ask Eileen for more information! Flagstaff Meadows Base Pricing – subject to change without notice.